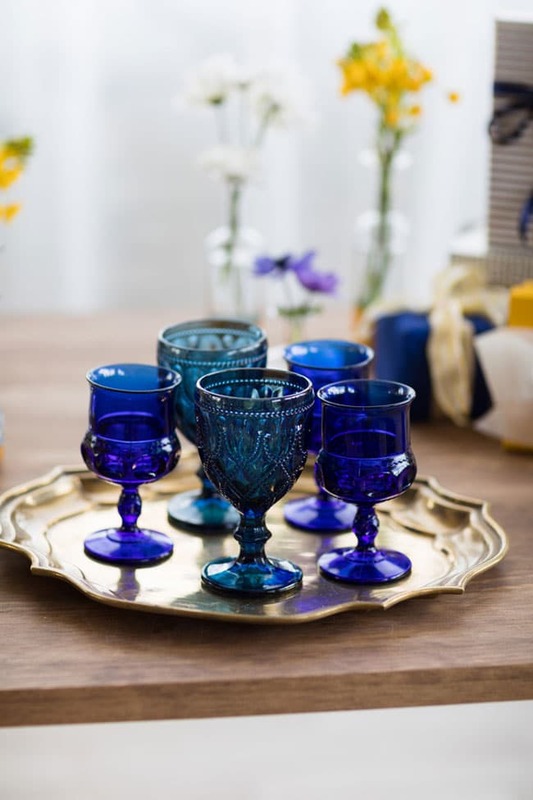 Are you looking for a something blue bridal shower? 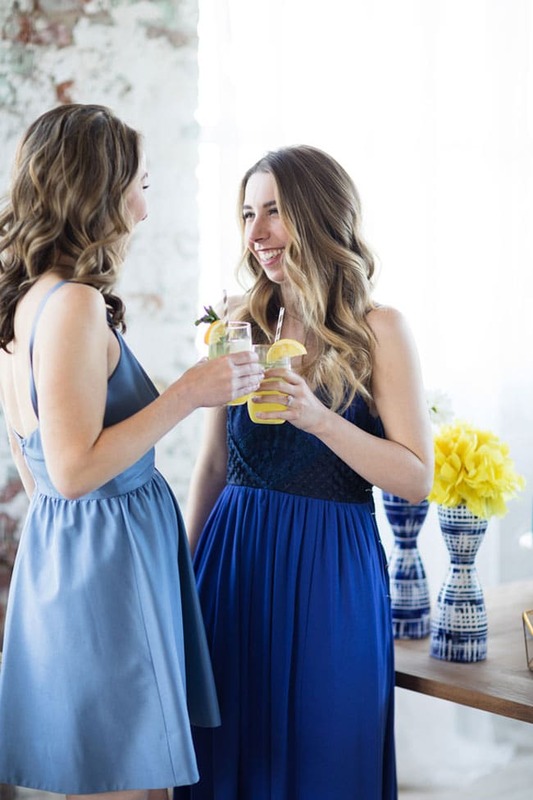 A Modern Navy and Yellow Bridal Shower is the perfect way to brighten up a bride’s special day! 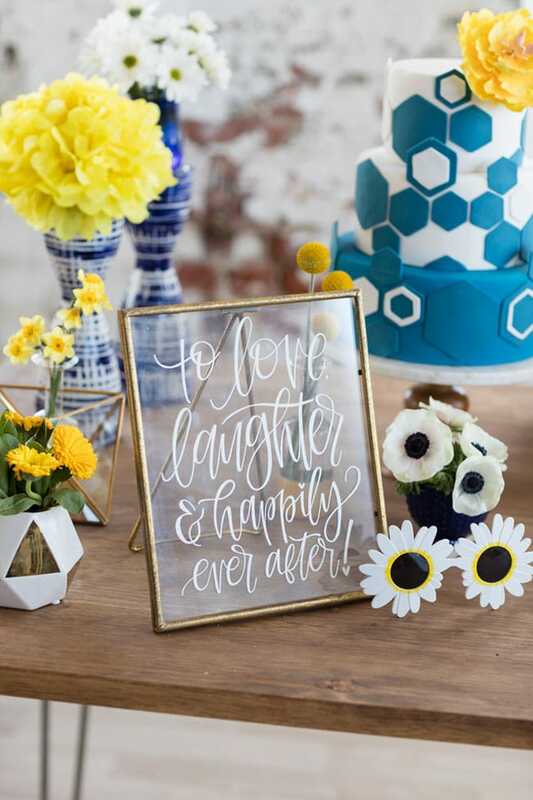 Keeping things light and bright is a fun way to celebrate an upcoming wedding for any soon-to-be bride. 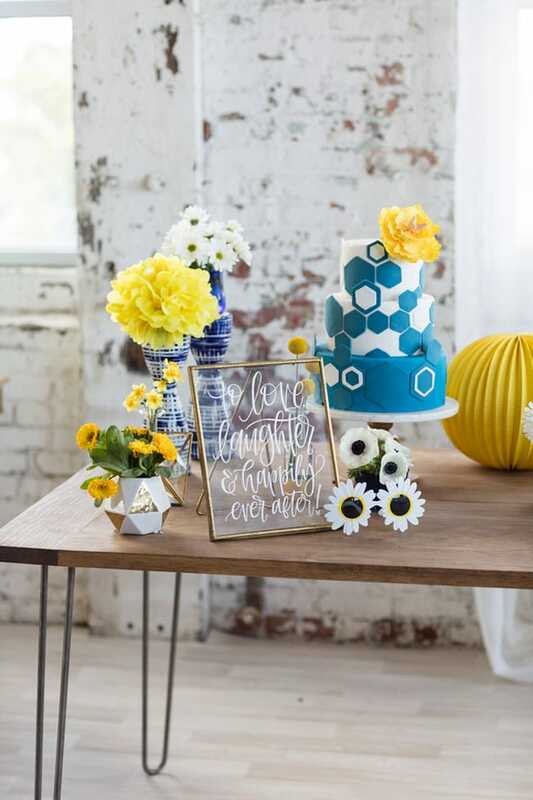 Tired of seeing the same old tried and true bridal shower theme being used? 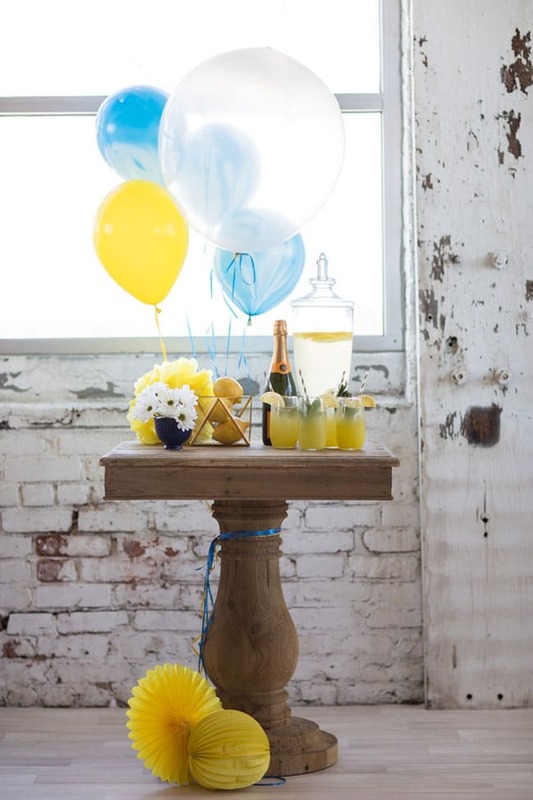 Then you’ll love this fun Modern Navy and Yellow Bridal Shower! 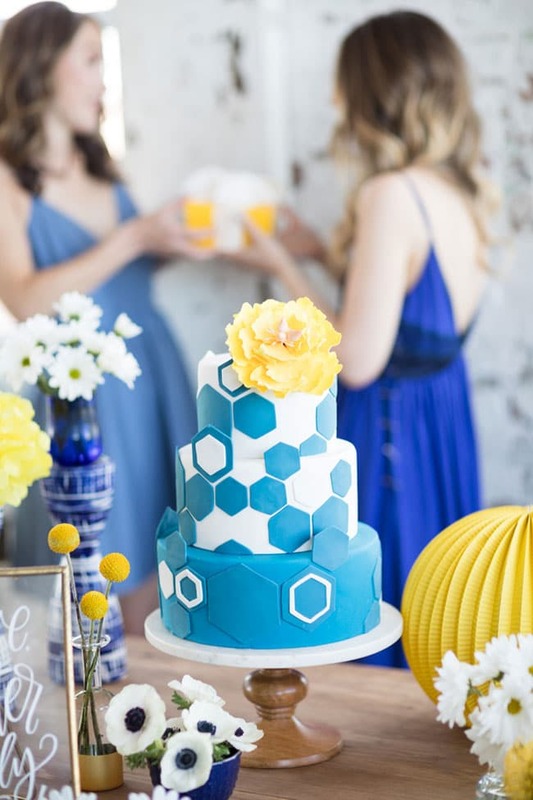 The gorgeous color scheme makes everything pop and the fun geometric designs throughout the event are eye-popping and inspiring! 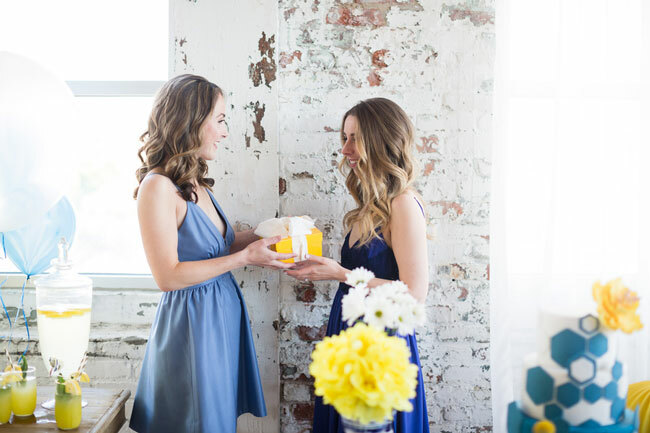 This party feature has bridal shower ideas for the modern bride, with an amazing cake, bright and colorful flowers and decorations, and gorgeous bridal shower dresses that match the fun theme! 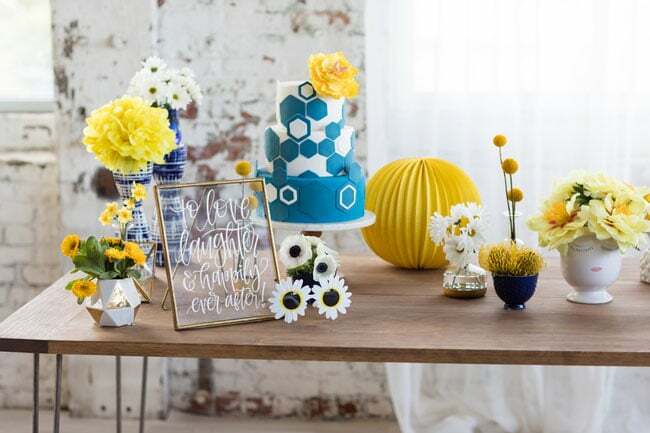 This adorable Modern Navy and Yellow Bridal Shower was a fun, inspirational photo shoot that was created by a group of talented Connecticut vendors. 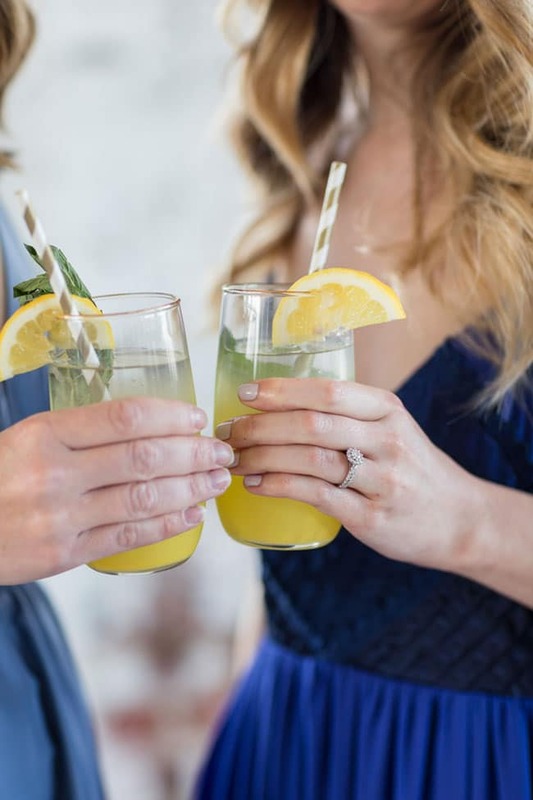 They came together to invoke inspiration for anyone needing Bridal Shower Theme Ideas that are fun and unique! The photographer, Chris & Becca Photography, was the maid of honor to two close friends recently. 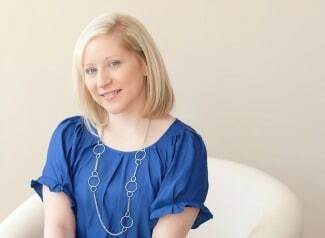 She had a hard time finding inspiration that she liked to create the perfect Bridal Shower Theme and finalize the bridal shower planning. Therefore, it was time to create one with help from other vendors! 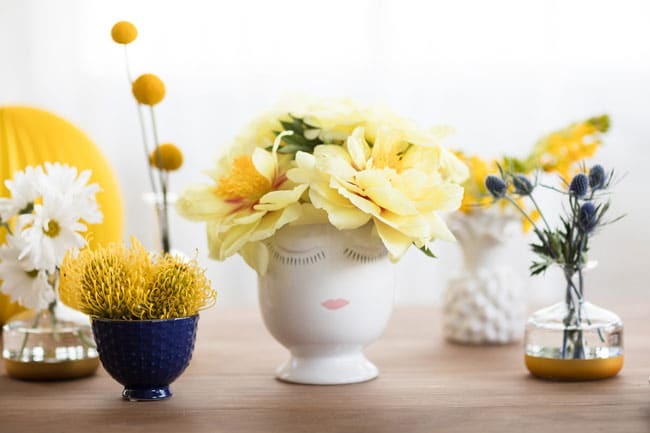 Just look at those unique bridal shower decorations found around the urban style venue! 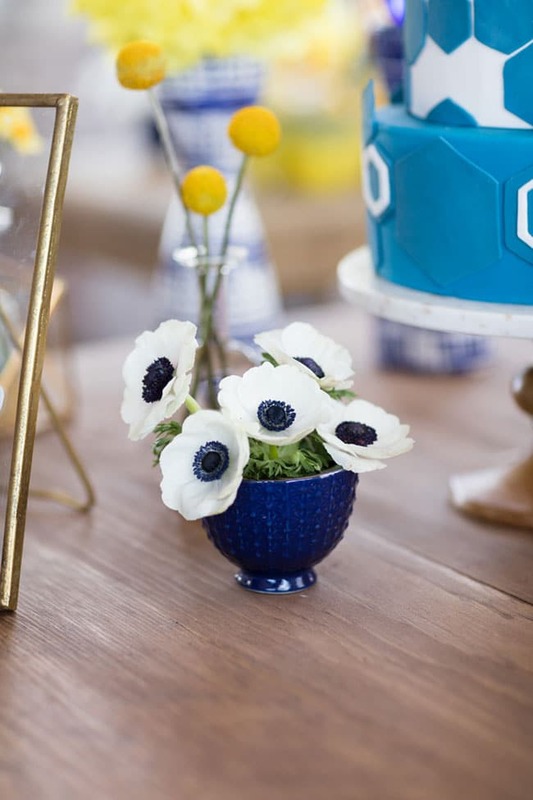 Vendors came together to create style inspiration for a bridal shower theme, with the colors of blue, navy, yellow and white being the inspiration. 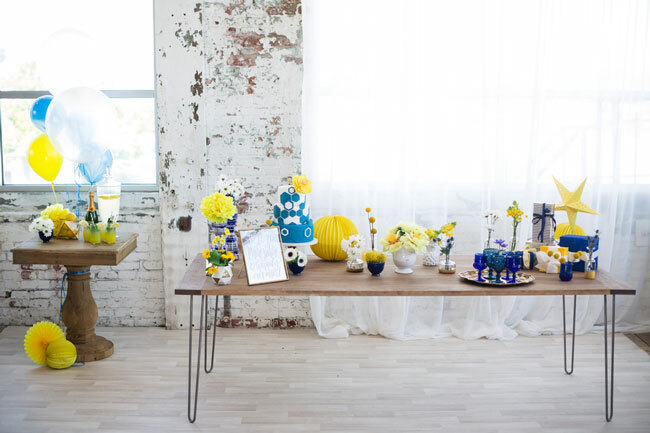 We love the tablescape and the simple, urban venue. Gather & Lounge provided various rentals throughout the event, with a few vintage vases and glasses to tie everything together. The goal was to use a classic color scheme, but with a modern, fun and lighthearted twist. 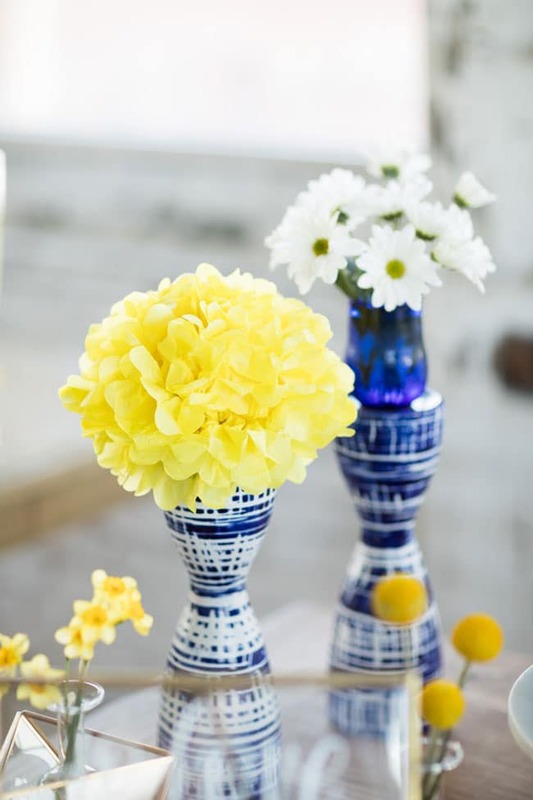 Bridal shower decorations did just that and we love the bright and fun flowers from Carrie Wilcox Floral Design! 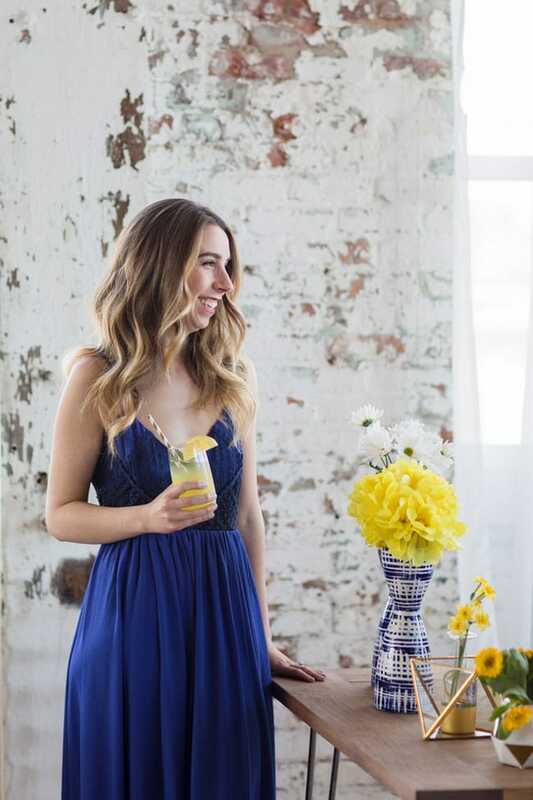 The photo shoot was set in a gorgeous loft, with a fun, urban feel. Perfect! The exquisite bridal shower cake was created by A Little Imaginations Cakes. 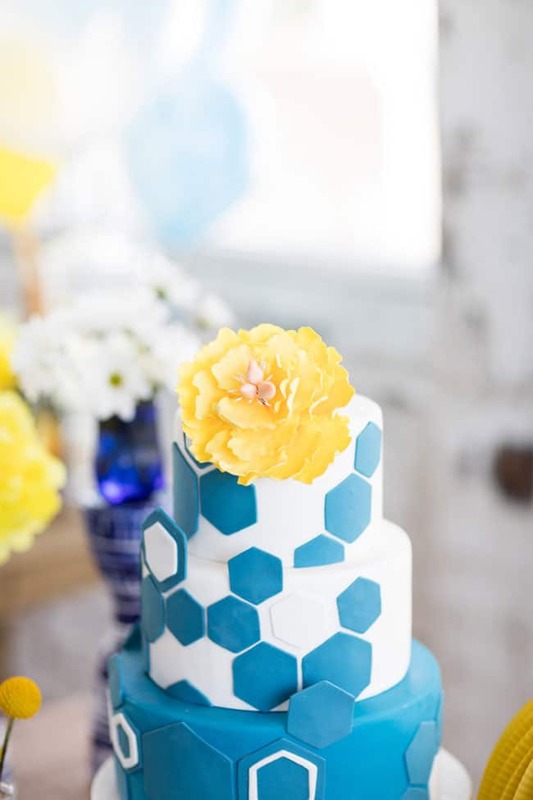 We absolutely love the geometric design on the cake with gorgeous flowers surrounding it. 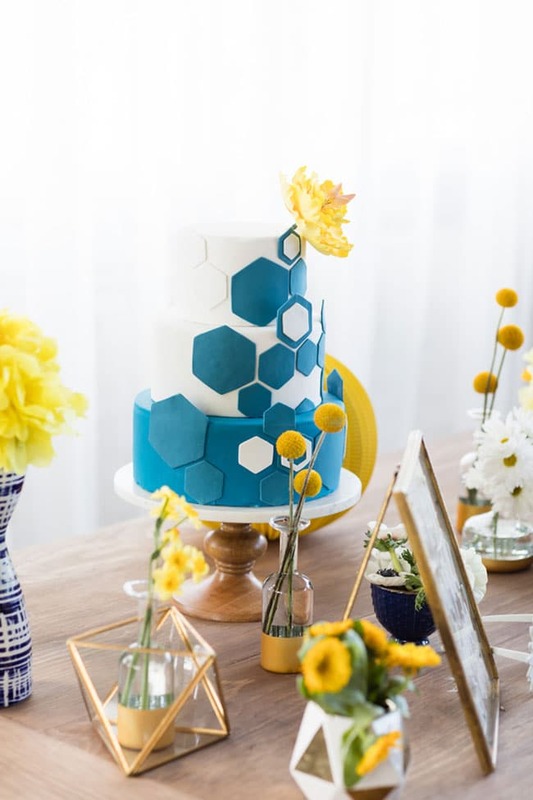 What a great way to incorporate the bridal shower theme with a fresh and modern look! 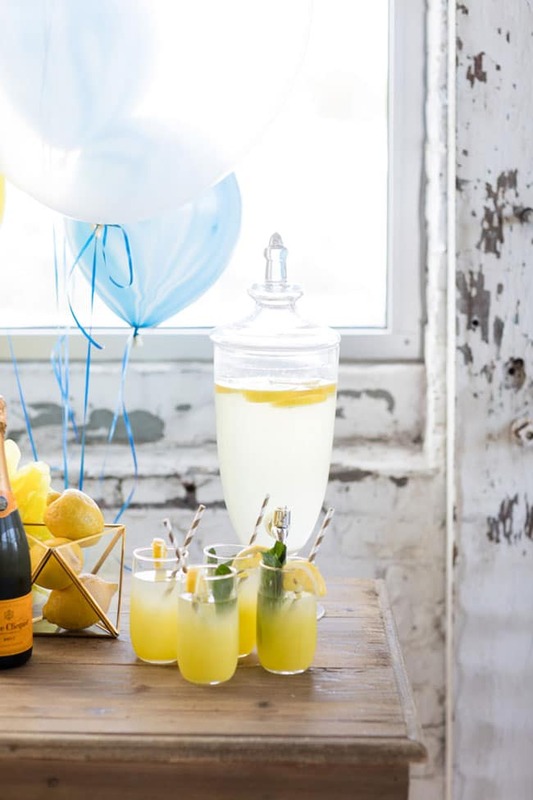 Lemonade was served to go along with the theme of yellow, and there were giant balloons around to make everything feel like a big celebration! This Delightful Design created beautiful signage throughout the event with calligraphy. And of course, there was champagne to toast the new bride! Cheers! 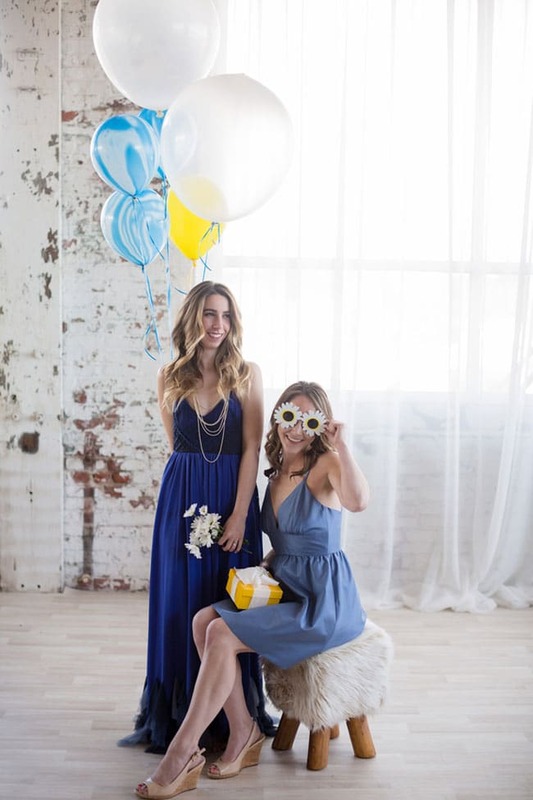 We love how the bride and bridesmaid models even wore awesome pieces to match the colors of the event! 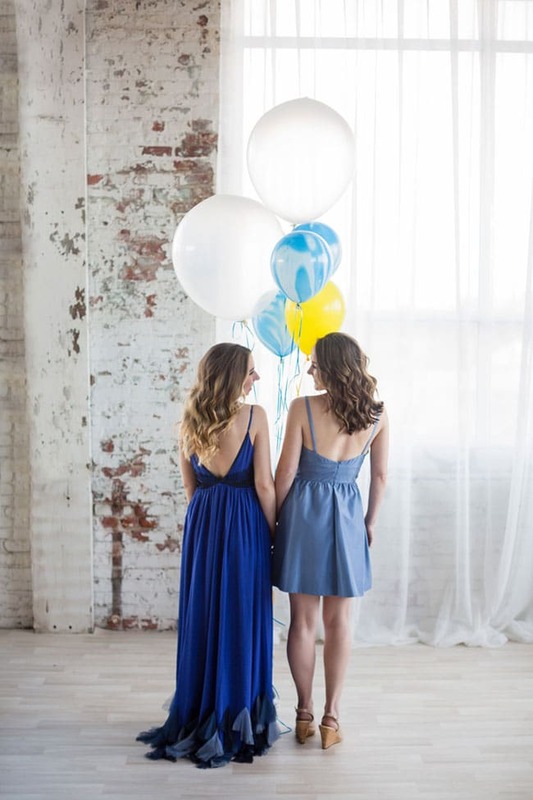 The bride wore a gorgeous navy dress, while the bridesmaid was wearing a light blue dress from A Little Something White Bridal Couture. 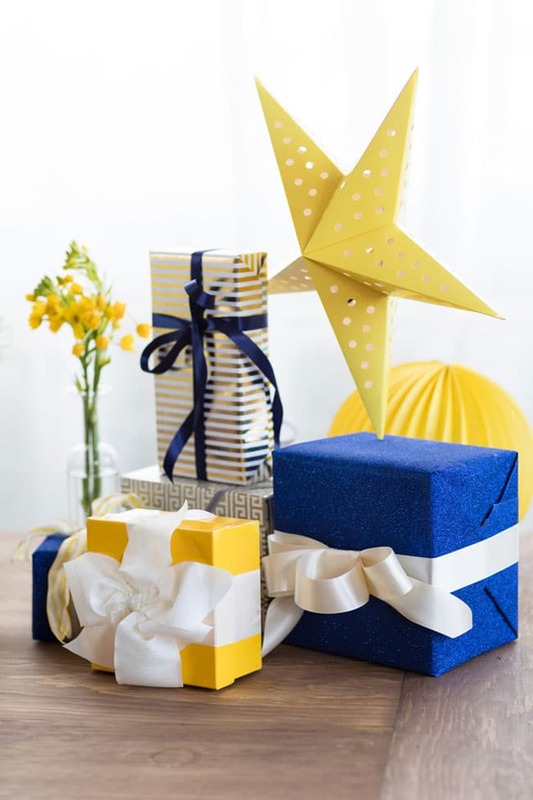 This beautiful blue and yellow bridal shower is perfect for any season and for a little luck it can be a bride’s something blue to celebrate her upcoming wedding! 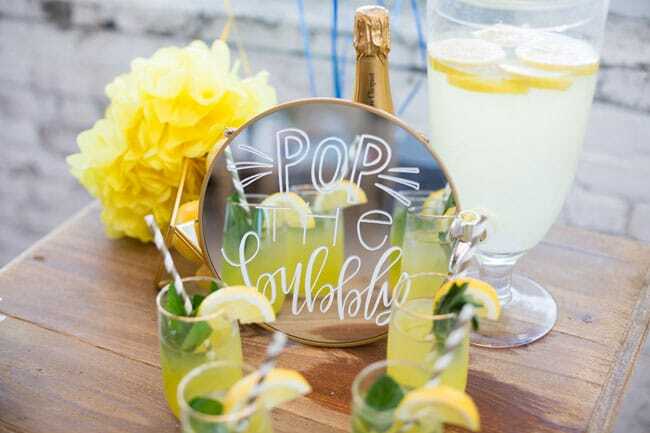 For more bridal shower and party ideas, follow us on Instagram @prettymyparty and Pinterest and join us in our private Facebook group. 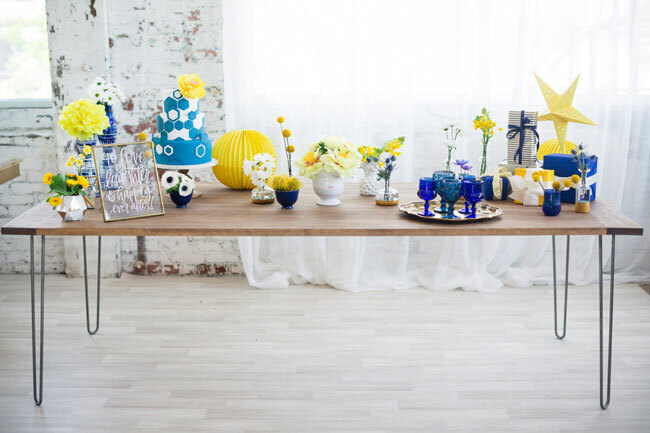 What’s your favorite detail in this Modern Navy and Yellow Bridal Shower? Let us know in the comments below!